Rapid and effective bonding of window foils in wet weather site conditions is provided by ISO Chemie’s ISO-TOP FLEX-ADHESIVE XP high performance adhesive. 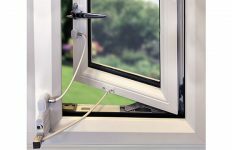 Capable of bonding to wet surfaces and even under water, ISO-TOP FLEX-ADHESIVE XP can be used to securely fix in position a variety of ISO Chemie’s window sealing foils including the ISO CONNECT VARIO SD, XD and INSIDE FD, as well as the more traditional range of EPDM products. This enables window and facade installers to secure the foils in place even if the receiving walls are wet. This provides beneficial time and cost savings during the installation process as there is no need to wait for walls to dry out after a rain shower or in the winter, when condensation is a problem on metal frame buildings. Applied by hand using a sealant gun, ISO-TOP FLEX-ADHESIVE XP is a cost effective, soft elastic solvent-free polymer solution that dries upon application forming a skin within 10 minutes. It provides an airtight connection between the foil and concrete, brick, stone, plaster and anodised aluminium walls. Product is supplied in a 600ml soft tube, which can cover approximately 10 metres, and is suitable for temperature ranges of -40°C to +90°C. 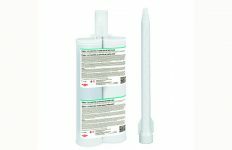 ISO-Chemie is one of Europe’s main producers of impregnated foam sealants, specialising in the manufacturer of foam products from polyethylene (EPE), polypropylene (EPP) and polyurethane (PUR) using the latest production techniques. More at www.iso-chemie.co.uk or email p.thompson@iso-chemie.co.uk. Tel: 01207 566874.